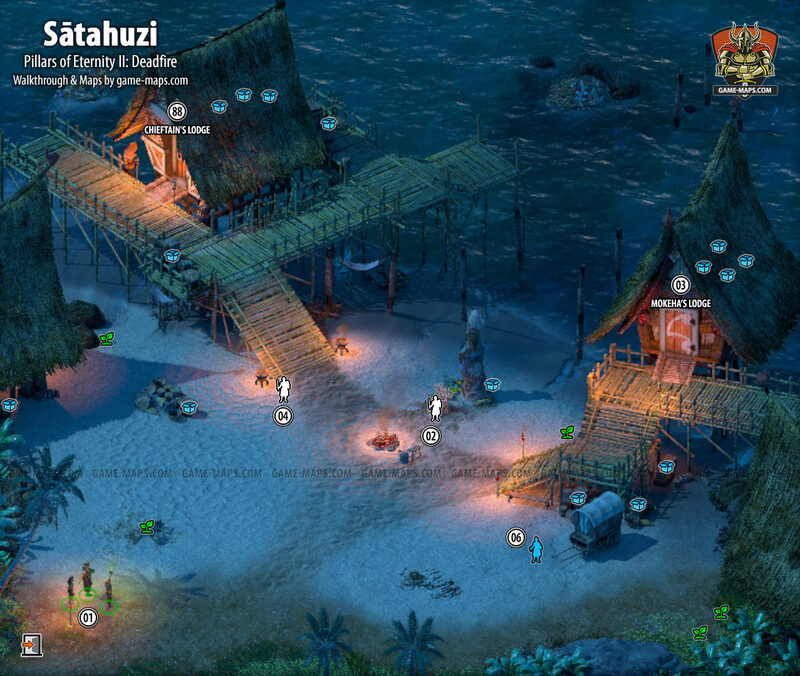 Sātahuzi Map of location in Port Maje Region in Pillars of Eternity II: Deadfire Video Game. Satahuzi Map for Pillars of Eternity II: Deadfire. Seated upon a chair before the bonfire, Ikawha looks considerably more comfortable here in her home village. She prods absently at the coals with a long stick. Ikawha's lined face is pocked with fading scars, but there's no hostility in her calm appraisal as you approach. If you come by night Mokeha will sleep. At daytime you can find her walking around village. I have Rinco's coin purse, and can return it to him at his home by the harbor.